The survival of Western civilization is precarious. The real danger lurks in the very character of what threatens Man as a whole—individual aberration. Thus, only an organization with the technology to confront and handle the individual can discharge from his mind the millennia of accumulated violence and confusion that causes wars, criminality and irrationality. Here is L. Ron Hubbard’s classic statement on why Scientologists can and must change the course of Western civilization and, therefore, of Earth. The survival of Western civilization is at stake. Armed with weapons of colossal power and equipped with technologies superior to any in recorded history, the West appears to enjoy unprecedented advantages. Laws and regulations cram its statute books. Sincere and dedicated groups work on solving its problems. And everywhere, well-intentioned individuals keep the wheels turning. Yet notwithstanding these resources, the survival of Western civilization is precarious. The deadliest threat comes not from hardened criminals, hostile nations or opposing ideologies. Instead, the real danger lurks in the very character of what threatens Man as a whole—individual aberration. Thus, only an organization with a technology to confront and handle the individual can discharge from his mind the millennia of accumulated violence and confusion that causes wars, criminality and irrationality. And only one such technology exists. 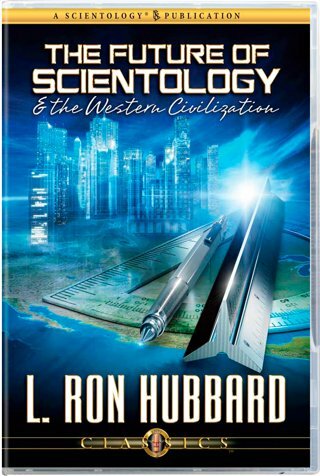 Here, then, is Ron’s classic statement on why Scientologists, working together, can and must change the course of Western civilization and, therefore, of Earth.